"When all of the dots are connected, the picture will reveal the agenda of destruction and the perpetrators of peril. Through our inaction, we have been brought to the doorstep of destruction. ~~ ALLEN WEST ~~ IT IS A DAMN STUPID THING THAT YOU JUST DID! "One has to remember that Clinton, committing the treasonous act of selling uranium to the Russians while Secretary of State, was working for President Obama. Clinton did not likely initiate this treason on her own volition. Therefore, her actions implicate the President." "This President has subverted the Executive Branch of the government by hiring key officials with strong and unmistakable ties to the terrorist organization, known as the Muslim Brotherhood (MB). The MB provides material support for ISIS. Treason abounds in the White House and for those that are not familiar with this treason which is destroying this country..." READ THE FACTS in this article. Did Obama Flash Muslim Shahada Hand Signal? American Christians NEED to Stand Up! WMD Attack on America: The Open Question: When Will It Happen? Is the Man in the White House Mentally Ill? Quintessential "shellacking" of Democrats Nov 4 -- however, don't become complacent. Is the Ebola Virus the Democrat Party's 'October Surprise' Beckel Warned About? FEDS have been lying to you about this virus. This is a report by the U.S. Army Center for Aerobiological Sciences, Medical Research Institute of Infectious Diseases. Only thing standing between us and a massive Ebola outbreak is winter weather and one ebola-infected sneeze. Ebola airborne survives just as well as Influenza A. Just as stable in the air. Very little is required to infect 1/2 million people. ONE DROP of aerosolized blood can infect half a million people. "Mr. President, You Have No Choice. You're Exposed Here." GEOENGINEERING WATCH: So, How Do We Stop The Spraying? The C-Free Diet: California grows 95-99% of all our nuts, fruits, vegies. THE BOMBSHELL TRUTH ABOUT BENGHAZI? A nation can survive its fools, and even the ambitious. But it cannot survive treason from within. . . . The traitor is the plague. ~ Marcus Tullius Cicero. Read more . . . The Last Great Stand > Military Generals Now Taking Public Stands Against Obama | Site has many informative links > FOR LINKS REGARDING TREASON BY OBAMA; OBAMA’S UTTER LAWLESSNESS, etc. IRAQI LAWMAKER: "SAVE US! SAVE US!" OBAMA CALLS FOR COLLECTIVIST "NEW WORLD ORDER"
SPECIAL REPORT: CROSSING OBAMA CAN BE DEADLY! 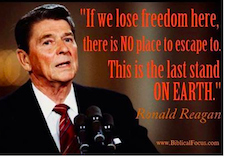 VIDEO: Ronald Reagan - We Are Americans! Educate yourself by reading the Cloward-Piven Strategy. BO is overwhelming the system, just as planned: economically, our health care, the population, the wars. We have been stretched too thin and our system will collapse under massive stress. A New American Army is Growing on American Soil. They are Preparred! Their mission: to save Americans from their Government. They call themselves, “Oath Keepers. . . . There are approximately 21.5 million military veterans of all ages and ethnic backgrounds in America. 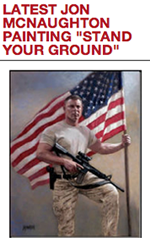 Estimates put Oath Keepers membership in excess of 200,000." Posted by Seth Horn on Pockets Watch FB group: Mao Ze-Dong 49-78,000,000, Adolf Hitler 12,000,000, Leopold II of Belgium 8,000,000, Jozef Stalin 7,000,000, Hideki Tojo 5,000,000, Ismail Enver 1,200,000, Pol Pot 1,700,000, Kim Il Sung 1,600,000, Menghistu 1,500,000, Yakubu Gowon 1,000,000. What did they all have in common??? The civilians were unarmed! Let that sink in for a bit everybody!! U.N. Agenda 21 is behind zoning, regionalism, land and water use, Sustainable Development, global warming, wealth redistribution, social engineering, Smart Growth, Green Growth, cap and trade, Smart Grid, Smart Meters, global citizens, IB World schools, Common Core standards, biofuels, the Law of the Sea Treaty (LOST), gun control, just to name a few. The Obama Death List: A Staggering Account of Suspicious Deaths. Mind-boggling is not an exaggeration! 2nd Top Military Man Calls for Millions to March on D.C.
Obama Wins ‘Lie of the Year’ Award! "If it hadn't have been for Jesus Christ, there never would have been a United States of America, because the inspiration for freedom drove our founding fathers. They were informed by their faith, and I believe guided by the hand of God." ** Please educate yourself on what is happening to America. This is so important to share with your family and friends -- all of it -- to the very end! AGENDA: GRINDING AMERICA DOWN -- Free to watch for a limited time. OBAMASCARE IS COMING! More proof he is the liar-in-chief. HE KNEW millions of Americans would lose their health insurance as far back as July 2010!!! TO MY READERS: TheBeezBuzz has ceased daily updates, thanks to a tenacious, unrelenting Islamic terrorist hacker who continually put obscene videos on my home page, and on numerous occasions took my site down! How do they do that! Amazing! So, TheBeezBuzz (at one time a Joomla CMS website with literally hundreds of pages) was hacked so many times, that I finally ran out of the energy and resources to continually restore the hundreds of pages on my site. To prevent any one of my past 700+ visitors from arriving upon empty pages, I am keeping a small, manageable website online; however, the hundreds of pages covering Obama's entire past 5 years have not been restored. America lost their opportunity to turn this country around when they allowed voter fraud and stupidity to put BO back in the White House allowing him to move "forward" with his destruction of America. We lost the opportunity to put a patriot who loved God and Country in the White House -- Mitt Romney. It was a sad day for America in Nov 2012. As many records as could be located were hidden or sealed in time for the 2008 primaries to begin. Any records that didn’t exist such as Selective Service registration were forged to give the impression of qualified citizenship. Read more . . .
Obama Supporters Will Go Hysterical Over This Well Sourced List Of 252 Examples Of His Lying, Lawbreaking, Corruption, Cronyism, Etc. Is there ANY REASON at all that Barack Obama should still be a free man after doing ALL the things outlined in this story? This man needs to be locked away with every other common criminal. Why hasn’t it happened yet? Read more . . .
Just How Corrupt Is The Obama Administration? Obama administration may be the most corrupt administration ever inflicted on the American public. Read more . . .
Who would have suspected that the socialistic Washington Post would ever publish an article about a conservative Republican from Texas who spouts off about knowing that the House of Representatives of Congress has enough votes to impeach Obama? These “phony scandals” not only represent a thorough shredding of America’s Constitution, they also ripped the lives of four sons away from their inconsolable mothers. Downplaying their significance and writing them off as “political jockeying” is beyond disrespectful – it’s repulsive. Read	more . . . The Obama dictatorship is virtually complete. Since he began the occupation of what was once our White House, the dictator-in-chief has been busy writing one Executive Order after another designed to replace US law…with ObamaLaw. Never in the history of the USA has it been in so much trouble as it finds itself today. There is neither point nor gain in attempting to soft-soap anyone about this. Its demise now seems imminent, as no one is doing anything to stop the now-proven-to-be criminal and would-be POTUS illegally occupying what was once—but is no more—our White House. The end of America as the world’s “shining city on a hill” is in its final stage of demolition. No one cares to stop its murder. So, the United States of America will die. . . .As each day passes and Obama becomes bolder in his foreign policy insanity, his actual personal membership in the Muslim Brotherhood seem increasingly obvious. . . .
Stalin was a master of using all sorts of organizations to manipulate and instill fear and many of his tyrannical tactics sit in the front pages of Barack Hussein Obama’s playbook. With every new Executive Order, the options that we, the people, have to seek redress for the crimes committed by the United States government are becoming more limited. . . .
Are White House E-Mails The "Smoking Gun" For Benghazi Cover-Up? Why Did the Benghazi Story Change? What really happened in Benghazi - Cynthia Lee Meyers is a cousin to a CIA agent assigned to Benghazi Libya to protect Ambassador Stevens. New Rvelation Explains Why No Benghazi Air Support? False Flag: Embassy Closures Used to Divert Benghazi Coverup Bombshell? Where is Justice for Benghazi? Washington Scandals Raise Question: Who Is in Charge of Our Government? Remember How Seal Team 6 Was Shot Down? Now We Could Finally Know Why Obama Is Covering It Up! Navy Seals Sacrificed to Political Correctness? Obama signs Anti-Protest Bill The United States Constitution explicitly provides for 'the right of the people peaceably to assemble, and to petition the Government for a redress of grievances'" in the First Amendment. Please read the article: Reflections of America's First Soviet Style National Election. Send it to everyone on your email list; link it to every blog: Facebook, Twitter, all of them. Inform America. They NEED to read, hear and know the truth. Most Americans have given up OUR FREEDOMS for THEIR FREEBIES! -- free stuff they'll NEVER get. They didn't learn from the past 4 years of the Obama regime that there was not and will not be any free stuff. Obama will NOT pay their mortgage, their car payment, their gas, their electricity bills (that will necessarily skyrocket), their health care. They're on their own. They've been duped and lied to -- again, but were too brainwashed by the rhetorical lies of a fraud to hear the truth. And now ALL of America will suffer because of their stupidity. 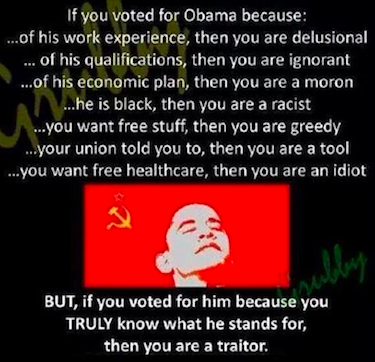 Obama now has his second term, thanks to those who wouldn't listen, being either ignorant, uninformed, misinformed, uneducated, or disinterested, and have taken America and our freedoms for granted. I foresee a possible third term for Obama. It's already in the making by Democrats. Obama will not give up his power, perks, prestige and abuse of what he thinks is an endless piggy bank of the American taxpayer to fund his perpetual vacations and lavish lifestyle. America will see her first dictator. Obama has already stepped into that position with massive abuse of Executive Orders. He has broken his oath to protect and defend the Constitution, the Bill of Rights, the United States of America, and We the People; he has circumvented Congress; he has repudiated the Constitution; he has incinerated the Bill of Rights; he is pushing forward with his socialist agenda. America did NOT wake up in time. We are on a rapid downward spiral, hanging on the precipice of the abyss. Amendment II : A well regulated militia, being necessary to the security of a free state, the right of the people to keep and bear arms, shall not be infringed. Obama to Top Brass: Will you fire on American citizens? Put aside the rhetoric, watch what Obama does, it's antithetical. America has been warned. The beginning signs of a despot. He proclaims very clearly he is a progressive socialist. Gun Control in Canada "I need you in the game: Wis. Sheriff tells residents to learn how to use a gun to defend themselves. 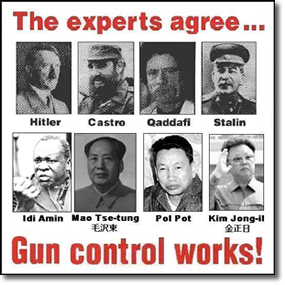 If you consider yourself amongst those who support obama's gun control, you ARE among those listed in this article who endorse the wholesale MURDER of men, women and children, by first disarming their VICTIMS! The victims of these tyrants, were disarmed by their government prior to the slaughter of over 150 MILLION+. Those MURDERED 150 million+ people never thought it could happen to them either!!! BUT IT DID!!!!!!! First gun registration, then gun confiscation. 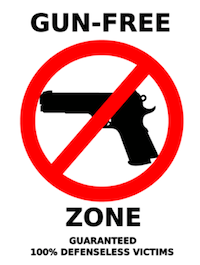 Cambodia established gun control in 1956.From 1975 to 1977, one million educated people, unable to defend themselves, were rounded up and exterminated. Dr. Benjamin Carson Epic Full Speech at National Prayer Breakfast Attacks Obama's Policies! Dr. Ben Carson On Criticizing Obamacare: "Somebody Has To Stand Up To The Bullies"
NO WORDS to describe how criminal, outrageous, and appalling the waste of our tax money is in WA DC!!! The US gov't is EMBEZZLING OUR TAXES and wasting the money on foolishness and folly, stupidity and idiocy, meanwhile taking everything we have in order that they may have MORE to waste. And the BO regime threatens Americans who PAY HIS WAGES with the fallout of sequestration cuts. It's the GOVERNMENT who is OVERSPENDING OUR MONEY!!! It's not our fault. We shouldn't have to suffer for their spending habits! THEY live beyond their means with OUR money, and then when they run out they PUNISH We The People by raising our taxes and cutting our important city/county safety benefits! While you’re trying to figure out how to pay your 2012 taxes, give a thought to the National Science Foundation $350,000 grant to Perdue University researchers on how to improve your golf game. Not to be outspent, the National Institutes of Health gave a $940,000 grant to researchers who found that the production of pheromones in—wait for it—fruit flies, declines over time. Turns out that male fruit flies were more attracted to younger female fruit flies. The NIH also paid researchers to find out why gay men in Argentina engage in risky sexual behavior when they’re drunk and spent $800,000 in “stimulus funds” to study the impact of a “genital-washing” program on men in South Africa. You can’t make up this stuff. How about $1.5 million to see why lesbians are getting fat. Maybe they just eat too much! Senator Rand Paul - Not one penny more to countries that are burning our flag! | For liberty to expand, government must shrink. Senator Marco Rubio - As soon as I'm done speaking, I'll tell you what the criticism on the left is gonna be: Number one, he drank too much water; number two, that he didn't offer any new ideas. And there is the fallacy of it. We don't need a new idea. There is an idea. The idea is called America, and it still works! Sarah Palin - More background checks? Dandy idea, Mr. President; should'a started with yours. | We're here to restore America. | With the grace of our loving God, we will save our Country. Dr. Ben - "Let's say somebody were [in the White House] and they wanted to destroy this nation. I would create division among the people, encourage a culture of ridicule for basic morality and the principles that made and sustained the country, undermine the financial stability of the nation, and weaken and destroy the military. It appears coincidentally that those are the very things that are happening right now." Former Governor Mitt Romney - Start @ 4:11 - We are a patriotic people. The heart of America is good. Our land is blessed by the hand of God. May we as a people always be worthy of His grace and His protection.